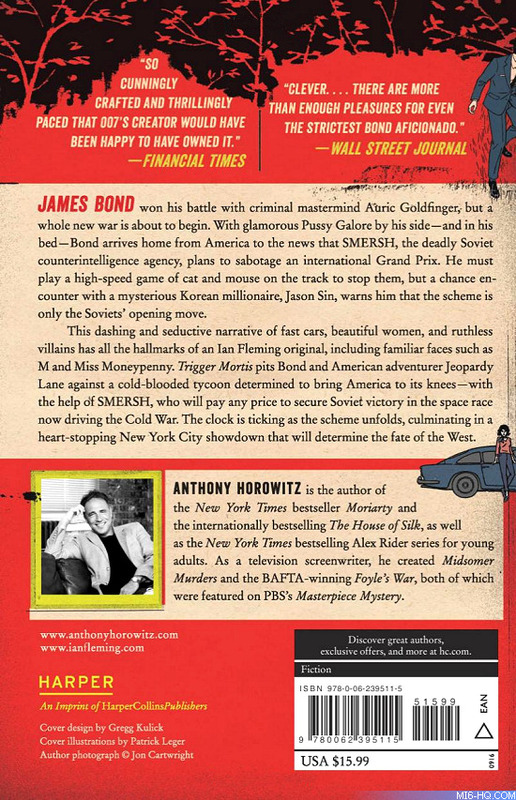 Out today in the USA, the paperback edition of Trigger Mortis by Anthony Horowitz sports a very retro cover. 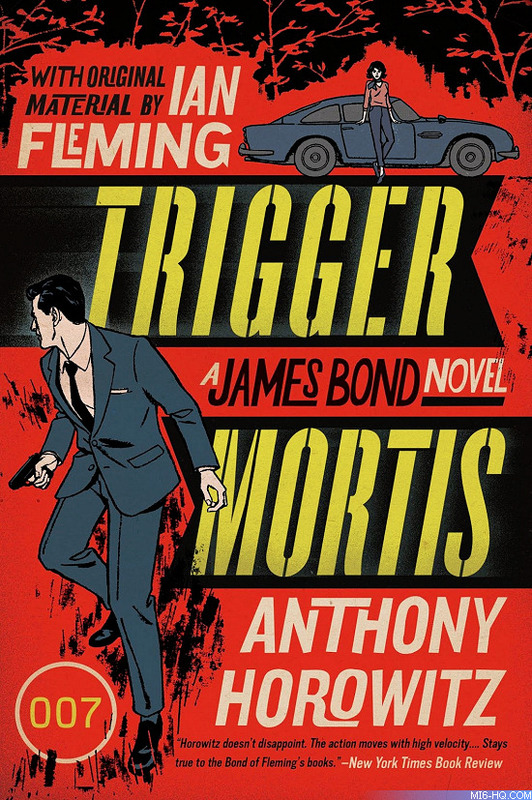 The novel, the latest James Bond continuation adventure, features original material by Ian Fleming. The cover artwork is by Brooklyn-based illustrator Patrick Leger and designed by Harper Collins' art director Gregg Kulick. This dashing and seductive narrative of fast cars, beautiful women, and ruthless villains has all the hallmarks of an Ian Fleming original, including familiar faces such as M and Miss Moneypenny. Trigger Mortis pits Bond and American adventurer Jeopardy Lane against a cold-blooded tycoon determined to bring America to its knees—with the help of SMERSH, who will pay any price to secure Soviet victory in the space race now driving the Cold War. The clock is ticking as the scheme unfolds, culminating in a heart-stopping New York City showdown that will determine the fate of the West.